His cause of death was undetermined. Rafeh, an investigator in the Fifth Precinct, also served as an Arabic translator, officials said. 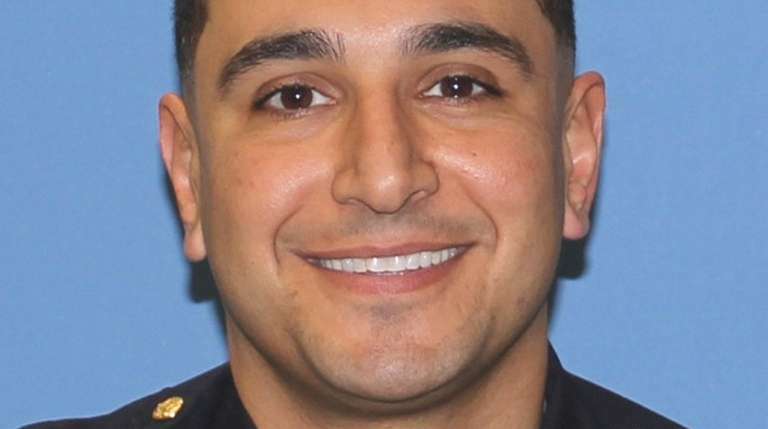 Suffolk County Police Officer Fadi Rafeh, an investigator in the Fifth Precinct who also served as an Arabic translator, died Sunday, police officials said. He was 38. Rafeh’s cause of death was undetermined on Tuesday. Officials said his death, off duty, was unexpected. Rafeh, a 1999 graduate of Longwood High School, was sworn in to the police academy in June 2010. He was in the Fifth Precinct throughout his career, first as a patrol officer assigned to Patchogue and Bellport. He became an investigator in the precinct’s Crime Section in October 2017, a police release said. Rafeh was a kicker, linebacker and fullback for the 1998 Longwood High School championship football team, according to former coach Joe Cipp III. "He was our do-it-all utility guy because he was so tough and had a lot of speed," Cipp said Tuesday. The son of Lebanese immigrants, Rafeh was also one of the department’s two Arabic translators. Lt. Michael Alfano, commanding officer of the Fifth Precinct's Crime Section, said Rafeh was about to be recommended for promotion to detective. crime sections handle misdemeanor cases; detective squads investigate felonies. Fifth Precinct Officer Joseph Esposito grew up with Rafeh, first as teenagers and then as fellow police officers. “He was the big brother I never had,” said Esposito, the oldest of three sons. Esposito began his law enforcement career with the NYPD about a decade ago and transferred to Suffolk police roughly a year ago at Rafeh’s urging. “Anything that guy would tell me, I would do,” he said. Officer Dan Hogan, Rafeh's partner in the crime section, has known him since their high school days. They became partners about a month ago, after working as teammates in the section. They worked as plainclothes investigators, handling casework and street crime. Hogan and Alfano described Rafeh as a mentor to younger officers and said he would organize trips to baseball and football games. “He was big into building camaraderie within the precinct,” Hogan said. Rafeh is survived by his wife, Jennifer, and sons Nicholas, 5, and Benjamin, 3. 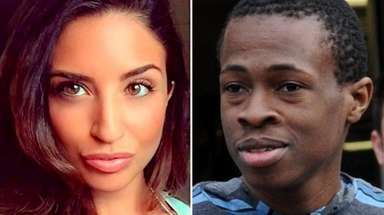 County Executive Steve Bellone offered his condolences to the family in a statement Tuesday. "Officer Rafeh was a role model to younger officers who were fortunate to have the opportunity to learn and serve beside him in the Police Department," he said. "He loved his job, he loved his family, and we are deeply saddened by this sudden and tragic loss." Services had not been determined as of Tuesday evening.